Trent Dawson (Henry Coleman on As the World Turns) is currently starring in a new production of "A Man for All Seasons" at the Acorn Theater in New York City. As Sir Thomas More refuses to recognize Henry VIII's divorce and ascendancy as Supreme Head of the new Church of England, "A Man for All Seasons" reveals the risk of speaking truth to power and the clash that follows when fierce political will collides with deep moral conviction. "A Man for All Seasons" stars Michael Countryman as Sir Thomas More, with Carolyn McCormick as his wife, Lady Alice. 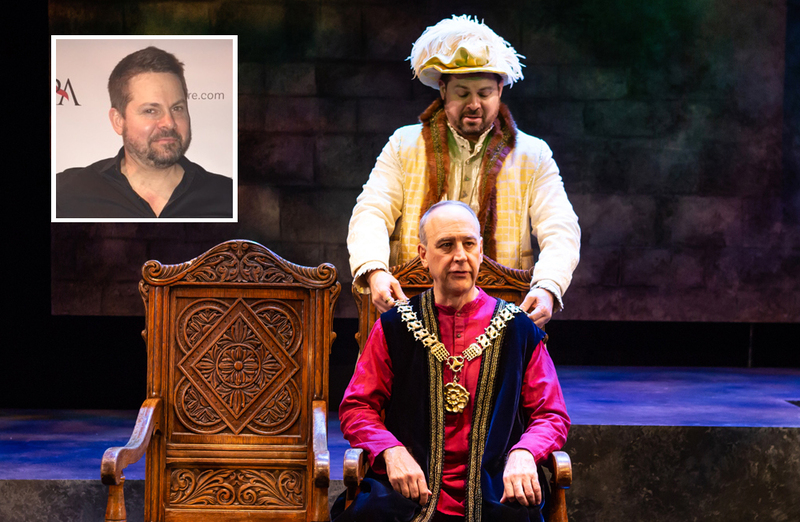 The cast also features John Ahlin (and Olivier Award nominee Kevyn Morrow as well as three-time Daytime Emmy nominee Dawson as Henry VIII, Drama Desk Award winner David McElwee, Todd Cerveris, Kim N. Wong, Sean Dugan and Harry Bouvy. The show is directed by Christa Scott-Reed for Fellowship for Performing Arts, at Theatre Row. Tickets can be purchased at fpatheatre.com. The busy Dawson is also directing his first short film, The F, which is the story of a couple that takes place on a subway platform in New York City. It stars which stars Alenjandro Hernandez. For more information, check out the film's GoFundMe page, which includes some cool perks.